The social security system supports people in a wide range of circumstances but it is not always clear how effective this support is. This is partly because social security can be complex and different benefits try to do different things that produce different outcomes in different circumstances. As well as this, social security interacts with other forms of support and this can also produce unintended consequences. One area where we think this interactive complexity might create problems is in meeting the needs and resources of separated parents and their children. The social security system has always had a focus on supporting children and families, originally though the creation of child benefit, intended to support the costs of raising a child. Some income-replacement benefits have recognised the importance of parenting responsibilities by reducing or removing the work-seeking obligations of parents. 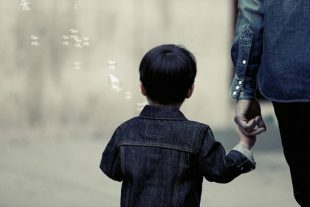 The tax system has also played a part in supporting children of separated parents through child maintenance payments. This formalises the financial arrangements between ‘resident parents’ who the children live with for most of the time and ‘non-resident parents’ who children may stay with some of the time. These measures, and others, are intended to meet the needs of different types of family units, but it is not clear if the intended outcomes are being met. There has been significant research in relation to how social security and related policies impact on lone parents, the majority of whom are women. This research explores the gendered nature of poverty, the discrimination inherent in employment practices and the associated impact on children’s rights. What has been less well researched, however, is the impact of social security, tax and employment policies on non-resident parents and how these policies impact on the different needs and resources of separated parents and their children. Post-separation, parents often have to navigate their way through complex social security and tax entitlements that derive from their different caring and financial responsibilities for children. This includes social security benefits that are not directly focused on parental responsibilities but that impact on separated parents, such as housing benefit or housing costs under universal credit. A non-resident parent who has no entitlement to child benefit, for example, but whose child stays overnight with them, may need housing benefit to cover the additional costs of a ‘spare’ bedroom. We know very little about how non-resident parents respond to this particular issue or the financial difficulties they may face if an additional bedroom is not included within their housing costs. This problem may be exacerbated for younger parents under 35 who, as single private renters, can only claim the shared accommodation rate of housing benefit or universal credit housing costs. This is likely to impact directly on the non-resident parent’s ability to provide overnight accommodation for their children. The impact on separated families in this scenario may well be an unintended consequence of social security policies but one which nevertheless can have a very negative effect. We know that the interaction of benefits with multiple policy objectives are likely to create unintended and unforeseen problems. What we need to know is the extent and nature of these problems as they impact on separated parents, and particularly non-resident parents. We are not clear whether there is an overall social security policy intent for separated parents. If there is, we want to establish whether this is being delivered and whether it is consistent with child maintenance policy. One of our concerns is that the tax and benefit systems may be inadvertently creating negative incentives to work for non-resident parents. We are also concerned that a failure to accommodate the needs of separated parents in social security might be pushing them (and their children) into poverty, impacting on their quality of life, including the relationships between parents and children. We want to also understand whether universal credit makes the problems faced by separated parents better or worse. We need to gather and understand the evidence on whether the current social security system works not just in principle but in practice for separated parents, and we are especially interested in how this works for non-resident parents. We would welcome any evidence by 16 April about the experiences of separated parents in using the social security system, as well as ideas for positive reforms that could improve the support available.